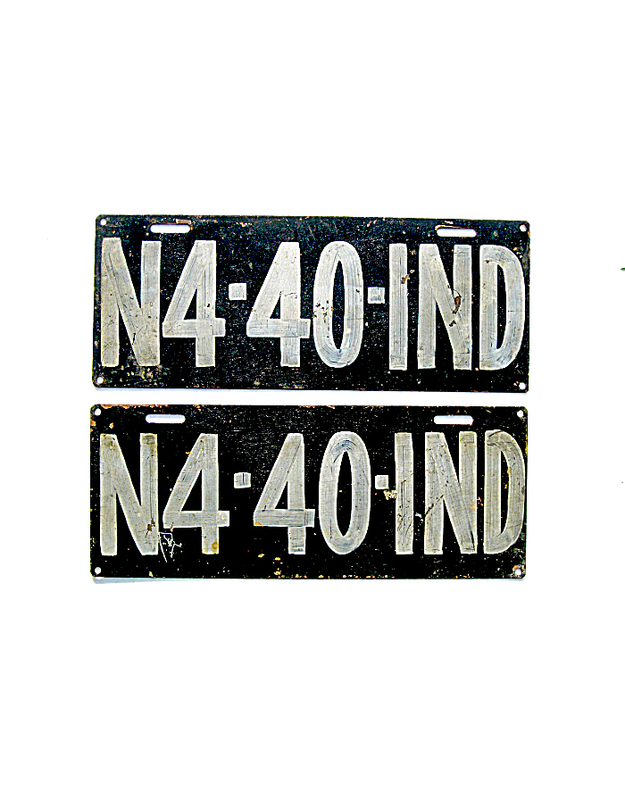 No Indiana cities or towns issued or required automobile license plates. 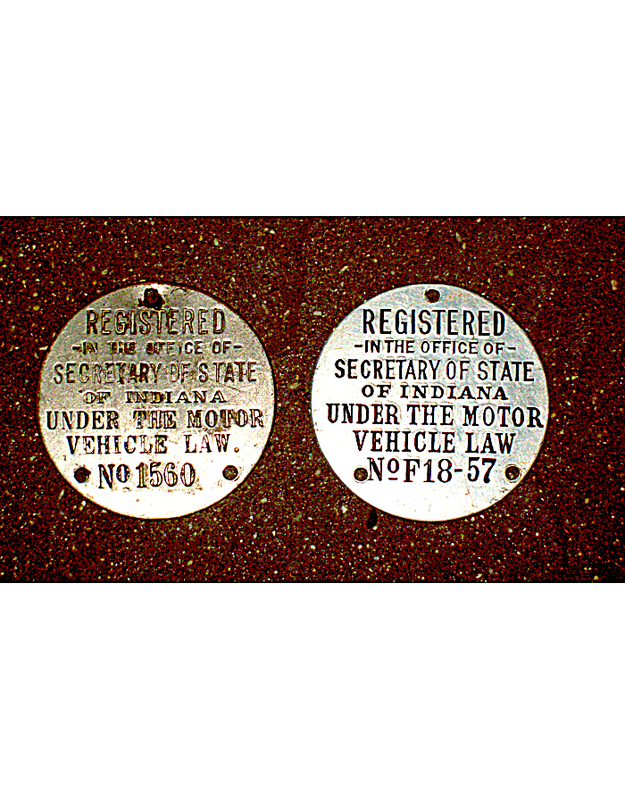 Instead, the state government began licensing autos statewide in 1905. 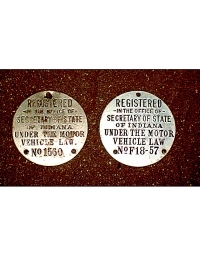 Motorists registering with the state received a dashboard disc with an all-numeric serial number, from which they made their license plate. 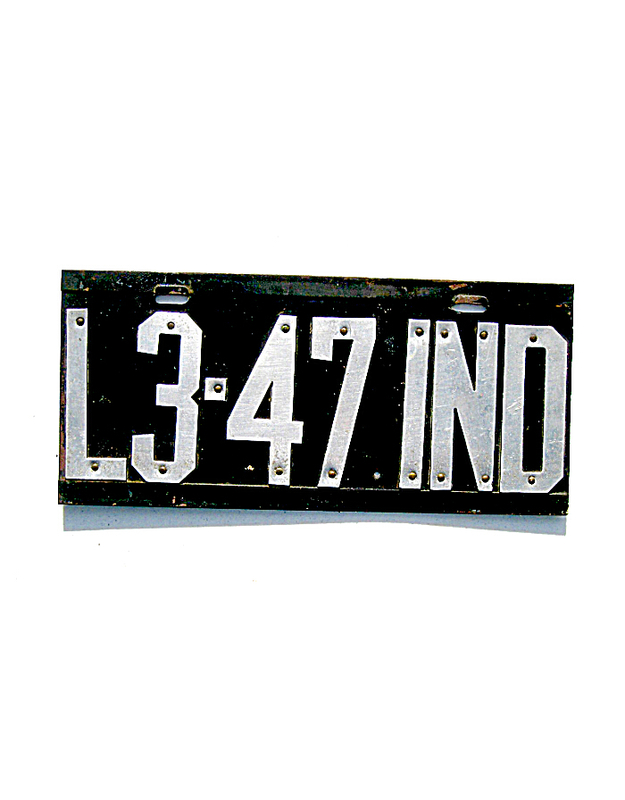 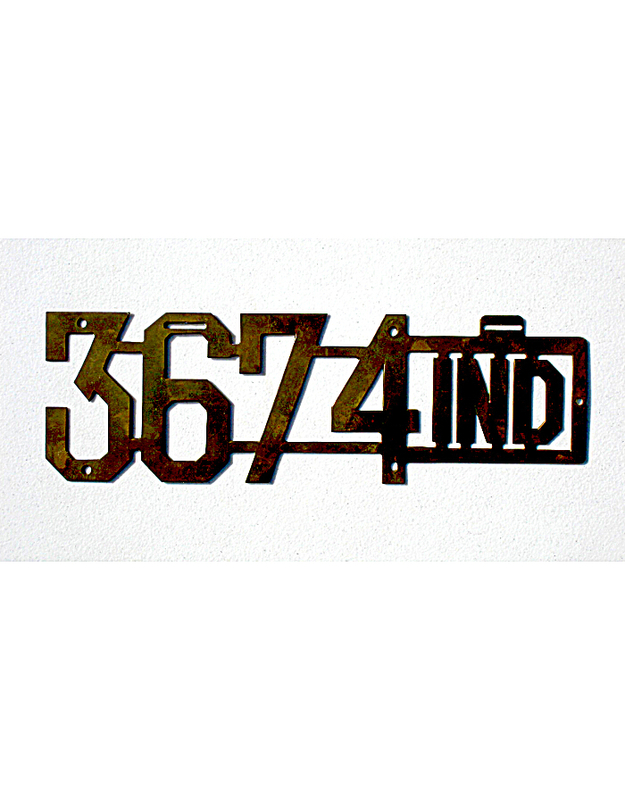 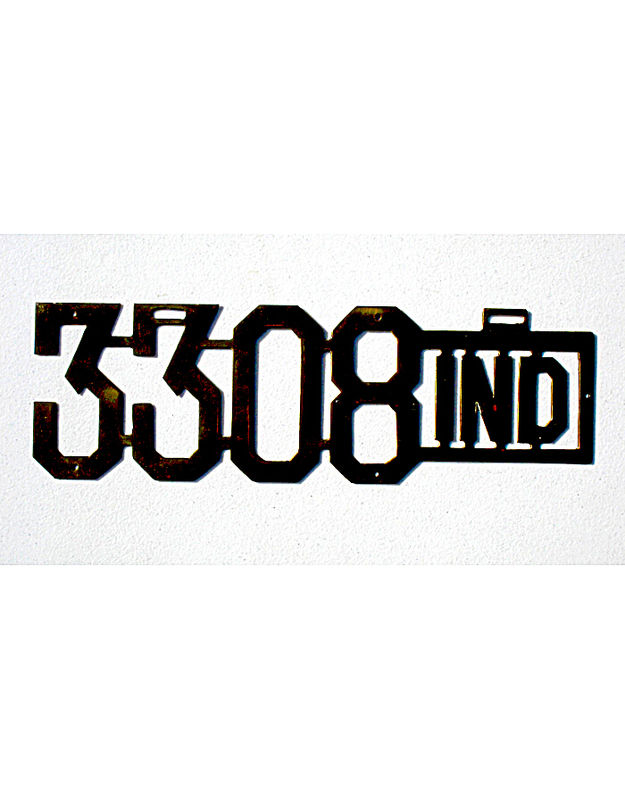 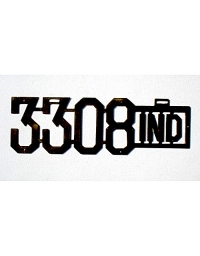 Unique to Indiana, however, are the beautiful stencil-brass pre-state license plates favored by many motorists, especially in Indianapolis. 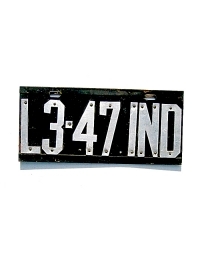 Motorists were, of course, free to select any type of material they favored for construction of their license plates, and leather was a common medium of choice. 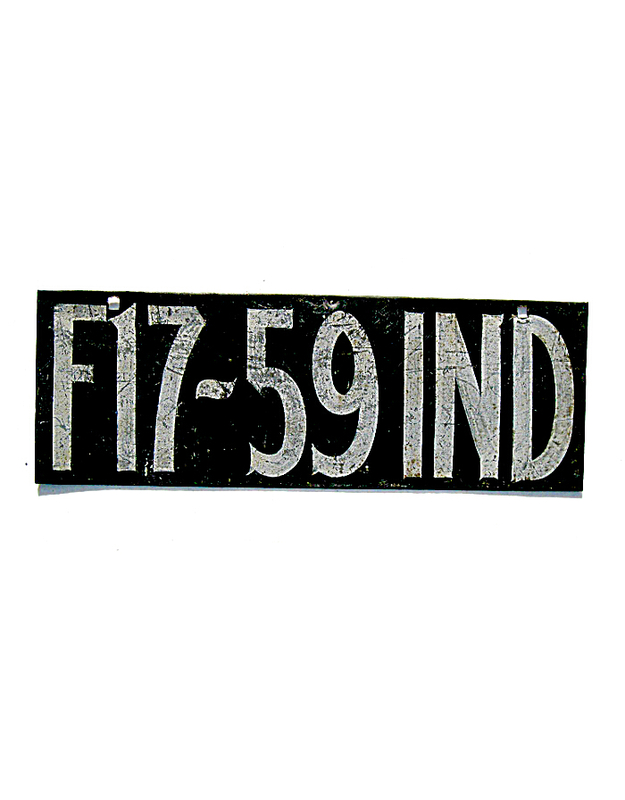 Beginning in mid-year 1907, Indiana required that all motorists re-register their autos. A new dashboard disc was issued, bearing a serial number which also included a prefix letter in addition to the numerals. 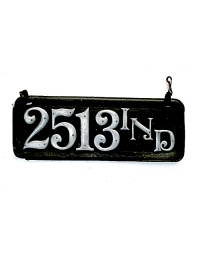 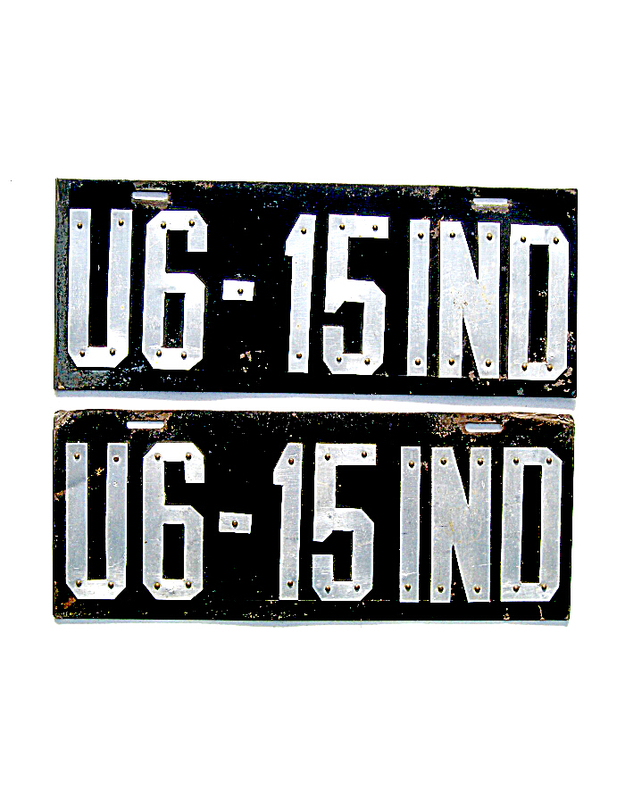 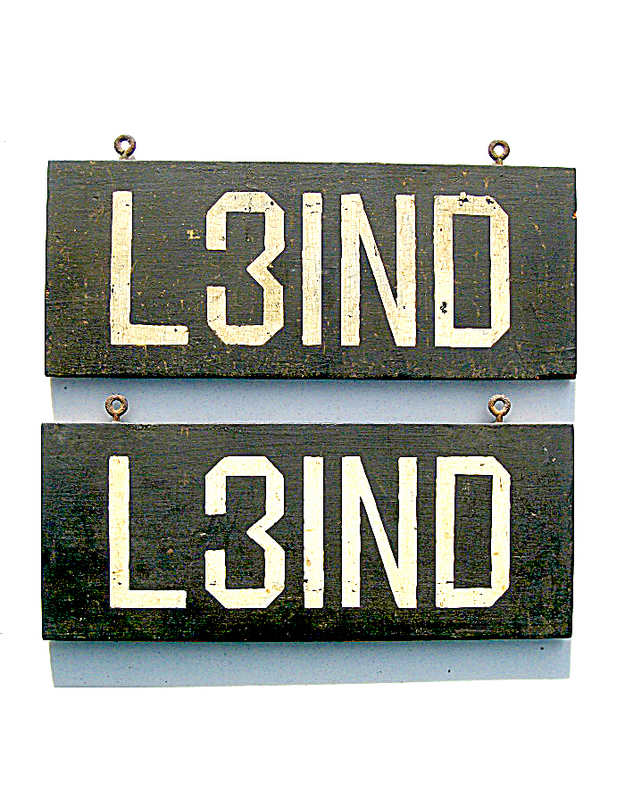 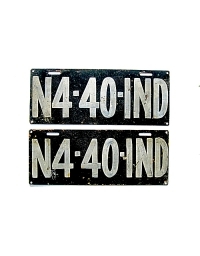 Because of the new numbering system, motorists were required to make new license plates; the brass stencil plates seem not to have been made during this later era. 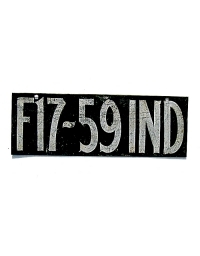 Pre-state license plates with prefix letters were used through mid-1913 when they were replaced with a state-issued tag, dated for that year. 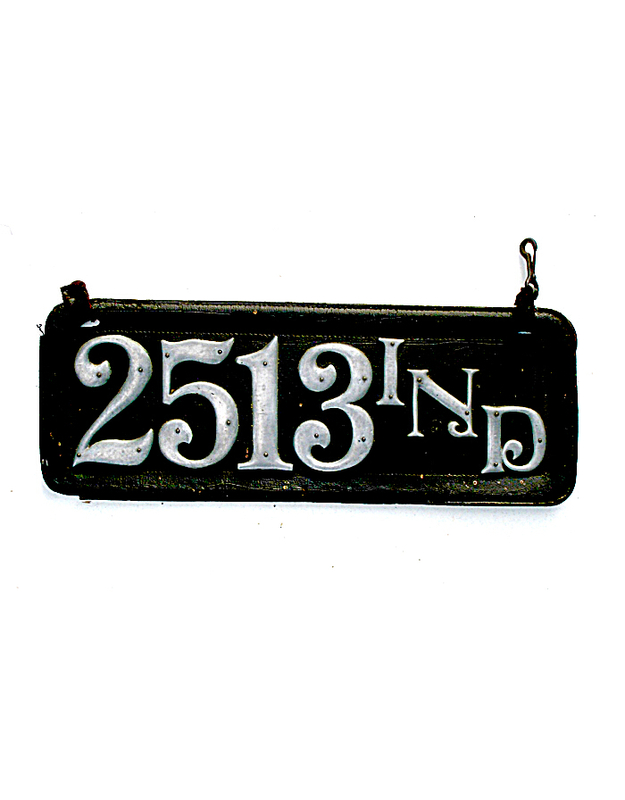 Pre-state era plates from 1907-‘13 were generally either leather with house numbers, or were sheet metal with flat aluminum digits affixed. 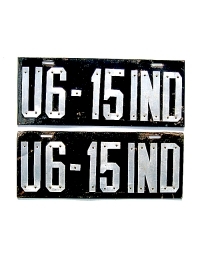 The latter style is so prevalent as to suggest a preferred supplier recommended to motorists by the state.